Greetings, fellow craft lovers! Today is the last showcase day of New Releases at MHKDesigns. I've had so much fun with this month's New Releases! Today just might be my favorite -- Sea Creatures! It, all the new releases, plus tons more wonderful stuff, is available in the MHKDesigns Etsy Shop. The great thing about digital stamps is that you can resize them and not lose their integrity. I made this one fairly big -- as big as I could and still fit it on an 8 1/12 X 11 piece of paper, folded in 2. 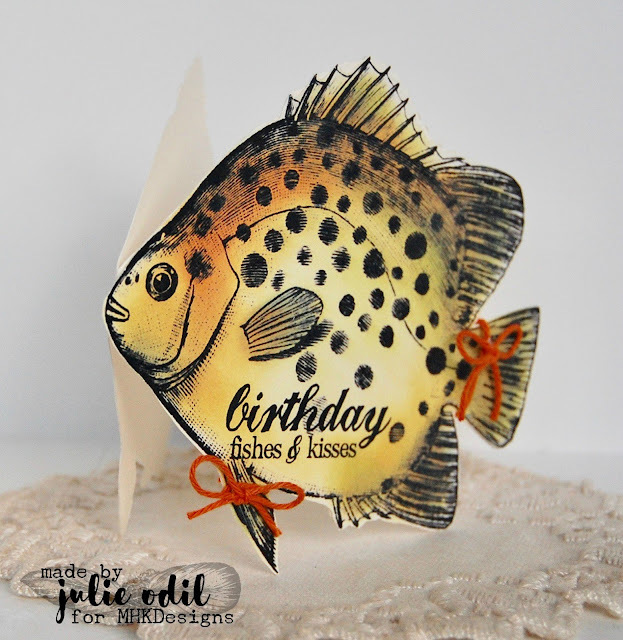 The fold of the card is the fishes lips. I used various shaded of Tim Holtz Distress inks, sponged on, to make this fish look like a fish out of the local lake. I was trying for a Crappie. I'm not sure if I succeeded, not doing much fishing, but he looked like a "keeper" to me, LOL. 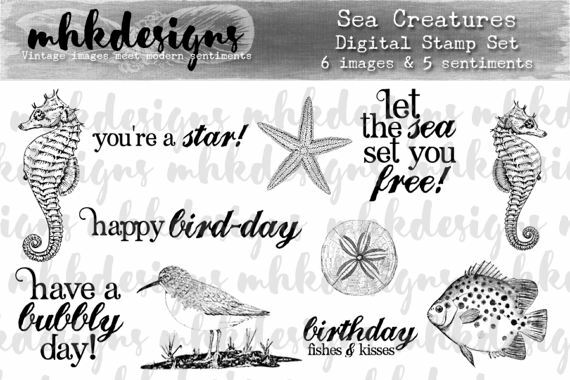 The "birthday fishes & kisses" sentiment is part of the Sea Creatures digital stamp set. A couple of baker's twine bows by Timeless Twine, and the card was done. 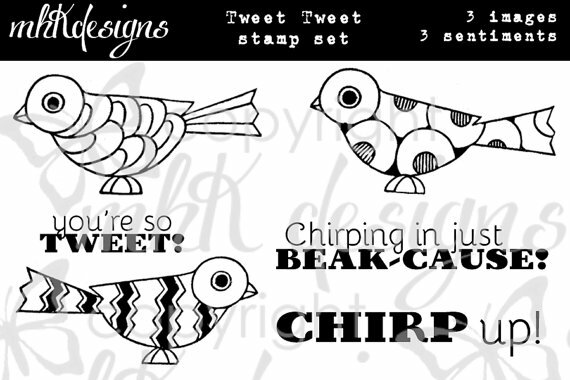 Have you entered the MHKDesigns challenge yet for your chance to win some MHKDesigns sets of your own? You have until the end of the month, and it's going fast! Use an MHKDesigns product, and it's anything goes. Use another image, and there's an inspiration board for you to follow. Check out the awesome MHKDesigners and Friends Facebook group, too! Hello, and happy Tuesday! April is quickly winding down. 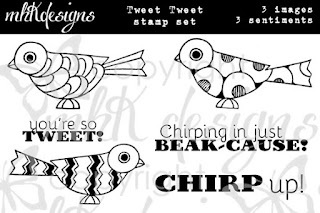 Today starts the last challenge of the month at Crafty Sentiments Designs. This week's theme, always a favorite, is 'Anything Goes'! Come join us! I used the Crafty Sentiments Designs rubber stamp, I Love Butterflies to create this card. She is colored with Copic markers. 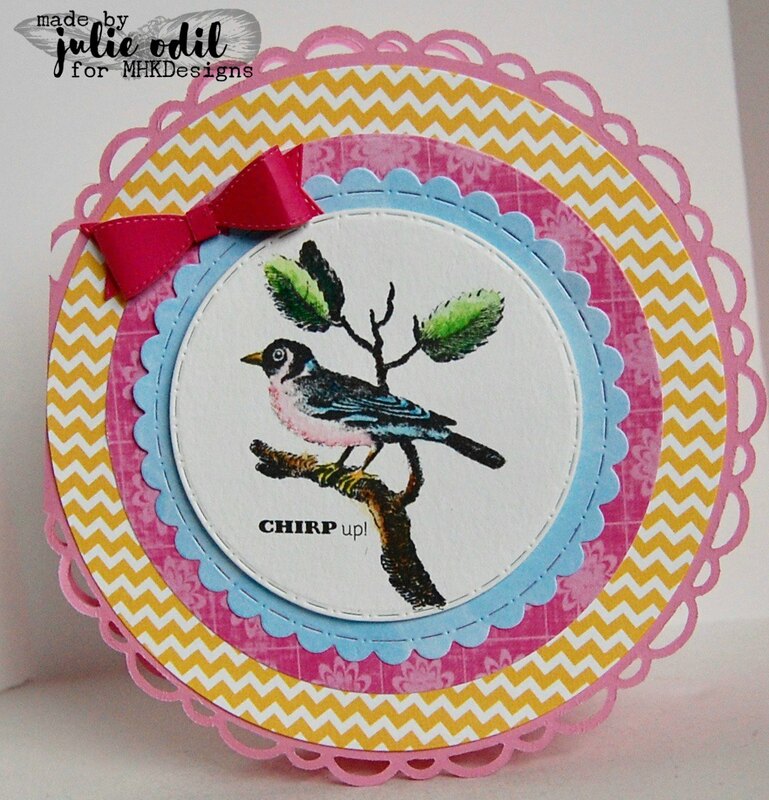 The card base was cut out on my Silhouette Cameo with a design I found in the Silhouette Design Store. The frame dies are from Lawn Fawn. 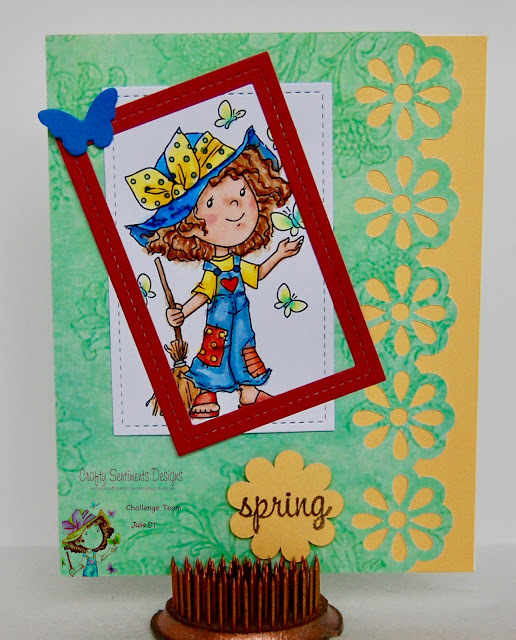 The Crafty Sentiments Butterfly girl is ready for Spring, isn't she? I know I am! I hope you join in on the challenge and the fun this week at Crafty Sentiments Challenge. I'd love to see what you make, we have great prizes, and Anything goes is as easy as it gets! Hello, my crafty friends, and happy Thursday. The new releases are winding down at MHKDesigns. I hope you've been enjoying the month as much as I have! Today, the design team is showcasing Funky Flowers. It is available in the MHKDesigns Etsy Shop, along with the other new releases (and all of the wonderful MHKDesigns!). I used one of the Funky Flowers designs and colored it with Faber Castell Polychromos pencils. 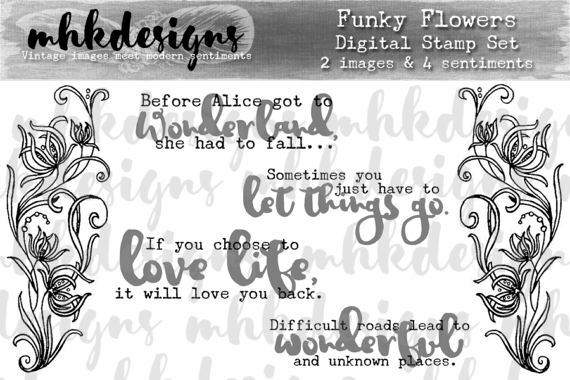 The sentiment, which I love, is part of the Funky Flowers digital stamp set. 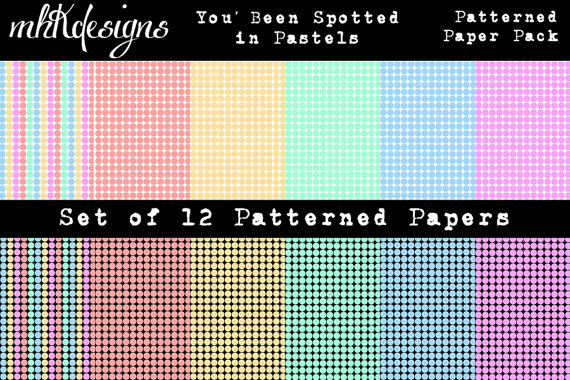 The light blue background paper is also from MHKDesigns. 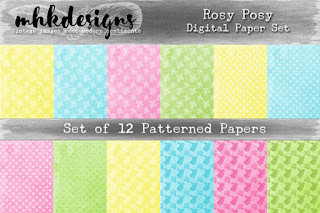 It is part of the Rosy Posy Digital Paper set. It's the third Monday of the month, which means it's time for some mid-month inspiration over on the Path of Positivity Challenge Blog. The optional theme this month is The Beauty of Nature, but you can link up any positive themed project. I love to color butterflies, and this one from this month's guest sponsor, Sparkle N Sprinkle, was a joy to color. I got to use some of my fluorescent Copic markers that I hardly ever use. After coloring the butterfly, I fussy cut it out. 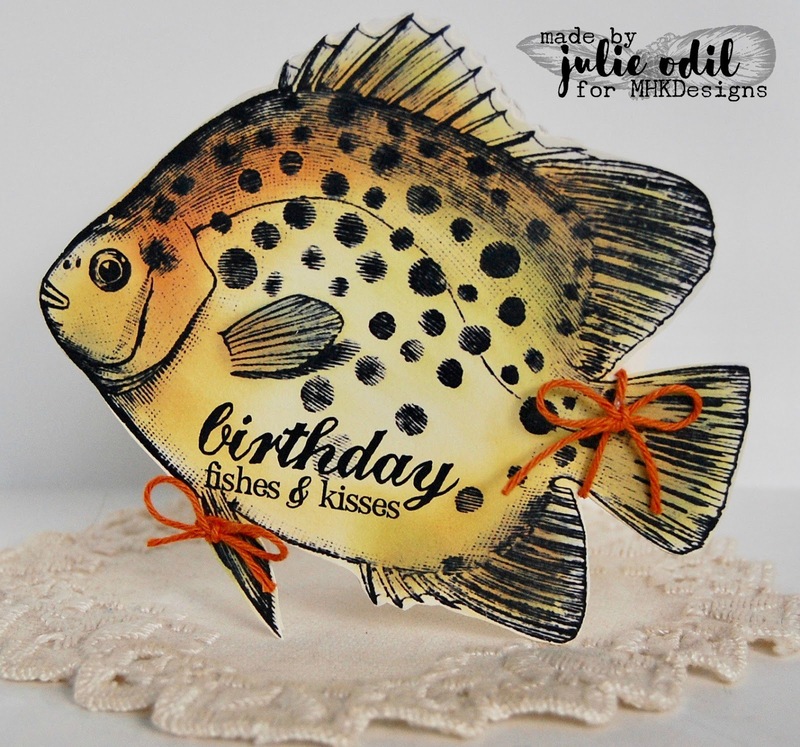 The card was a design I found in the Silhouette Design Store, cut out on my Silhouette Cameo. The embellishments are from Paper Whimsies. The challenge at Path of Positivity Challenge blog goes a month. You have until April 30 to join in our The Beauty of Nature challenge. Hello, fellow crafters! Is this really almost the middle of April? I hope you are having springtime weather where you live! Tomorrow is Easter, and more often than not, it is cold here on Easter, but I am hoping for "unseasonably warm." If you've been following my cancer journey with me, I had a PET scan last week, and it showed that I'm in complete remission! Thank you for all your prayers and kind thoughts! Thursday, I had a bone marrow biopsy. It is (hopefully) the last test needed to show I'm in remission. We won't know whether the cancer is gone from my bone marrow & spinal fluid without this test. Now, we're waiting for the results -- sometime next week. Your prayers are appreciated ! There are many new releases this month in the MHKDesigns Etsy Store. I'm featuring one today that has a masculine feel. 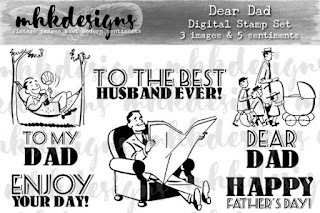 It's perfect for Father's Day or masculine birthdays. 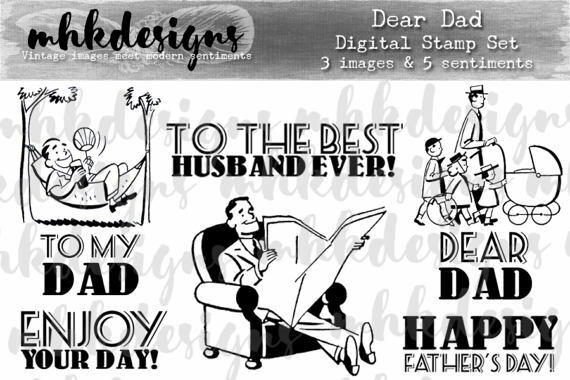 Here's a tag I made featuring "Dear Dad". 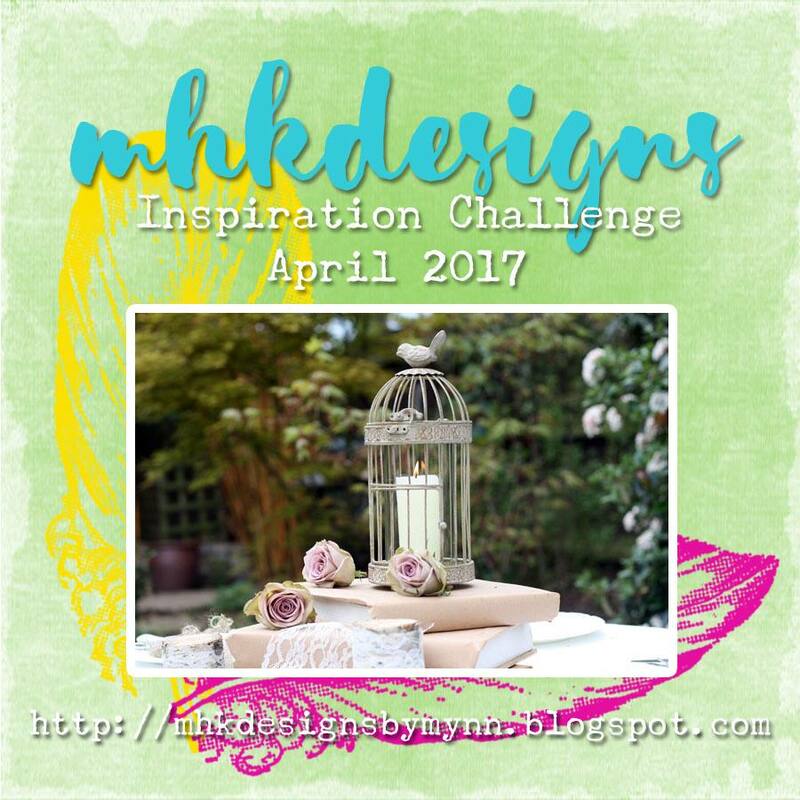 Have you joined in the MHKDesigns challenge yet? It goes all month, so there's still plenty of time! Don't forget about the MHKDesigners & Friends Facebook group. Plus, there are still more New Releases to check out on April 20 and April 25! 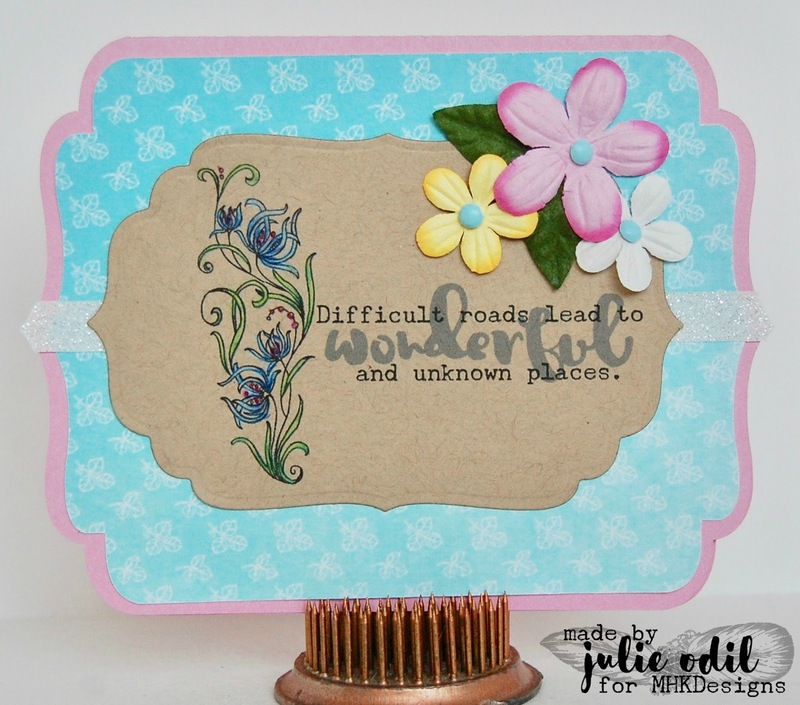 It all starts on the MHKDesigns blog! April 15? Already? Do I say this every month, LOL? Today, it's time for some mid-month inspiration over at the Imagine That! Digistamp Creative Playground. The current challenge goes until May 5, so there's lots of time. If you use an Imagine That! Digistamp image, you can win the Rainy Day Fun set (I used one of the images and one of the sentiments on this card) for FREE! 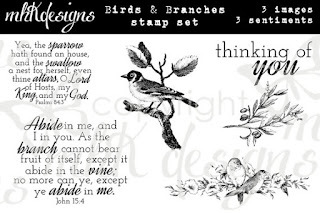 I used one of the black & white images from the Rainy Day Fun set (the 2 birds), and one of the pre-printed images from the set (the puddle), along with a sentiment, to create the focal point of this card. The birds are colored with Copic markers. The sun-shaped card in an SVG cutting file from The Cutting Cafe. I used some thin washi tape on the rays of the sun so give it a bit of extra sparkle and shine. The cloud die is from American Crafts, with some pen work added to match the puddle. I love this sentiment from the Rainy Day Fun set. It keeps me going on some of my "low" days. I had a bone marrow biopsy (major ouch!) on Thursday, and now I'm waiting for the results. The test was needed to prove that I am for sure in remission -- that there is no longer cancer in my bone marrow and spinal fluid. Prayers are appreciated! I should know the results some time this upcoming week. If you celebrate Easter, have a blessed day. For me, this one will be particularly special, a day of re-birth and truly starting over. I'm excited! He has given me new life! I hope you join the Imagine That! Digistamp's challenge this month at the Creative Playground. I'd love for you to have a chance to win this set. I'd also love to see what you make! Check out the wonderful Facebook group too, for even more inspiration, news, and fun! It's Tuesday, and that means it's time for a new challenge at Crafty Sentiments Challenge Blog. This week, the theme is "flowers". Easy! 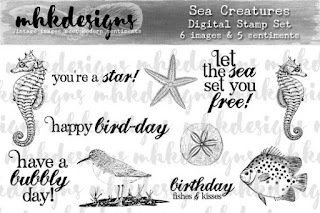 You can stamp them, color them, die cut them, or add them from you stash -- any creative way you can think of. We just want to see a flower (or many) on your creation. I stamped Florish, then used Copic markers to color her. The cross stitch oval die cuts are from Die-namics. 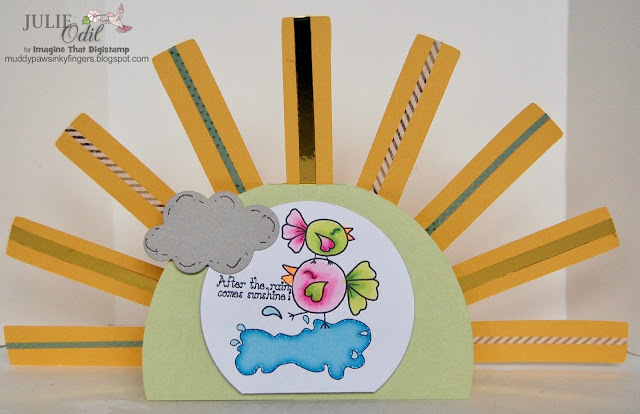 The card base and flower were cut out on my Silhouette Cameo with a design from the Silhouette Design Store. 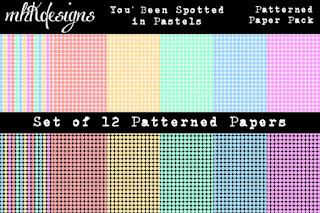 The designer dot paper is an Echo Park Dots & Stripes 12x12 paper. 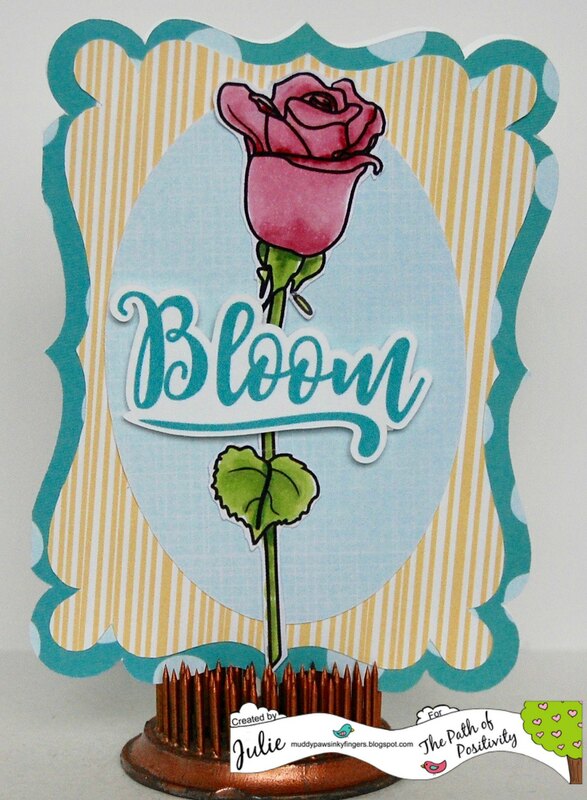 The "bloom" sentiment is from The Cutting Cafe Shop. I hope you join the Flower challenge this week at Crafty Sentiments Challenge Blog. There's also a monthly challenge in the Crafty Sentiments Facebook Group. Join them both, because there's great prizes, and I'd love to see what you make! April 10 -- that means it's New Release day at MHKDesigns! Whoot! Whoot! I love to see what this talented team does with the new releases! It all starts on the MHKDesigns blog. 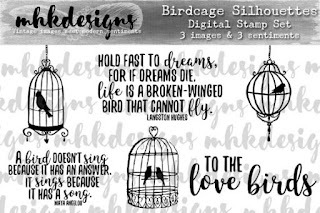 Today's New Release is Birdcage Silhouettes, and I used one of my all-time favorite quotes on this card. 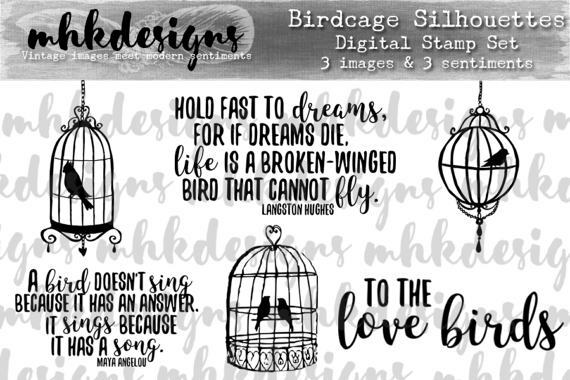 Birdcage Silhouettes, and all of this month's New Releases are available now and found in the MHKDesigns Etsy Shop. There will be more new releases throughout the month. Come back on April 15, April 20, and April 25 to see the entire new release and what the incredible designers from this team have created with them. You won't be disappointed. 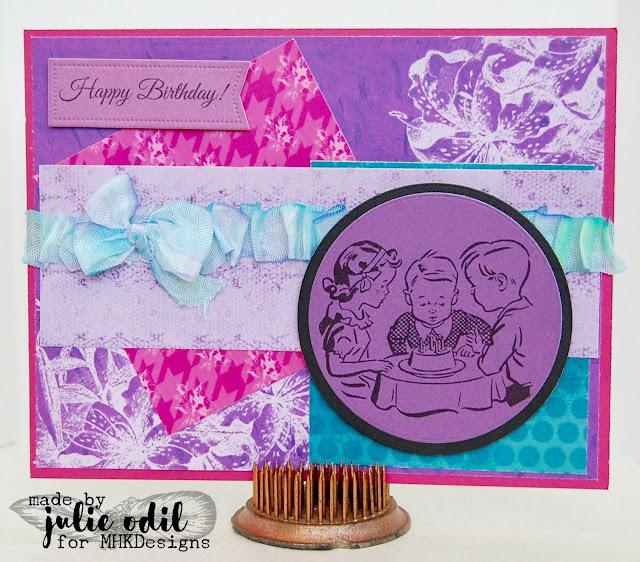 All the fun starts on the MHKDesigns blog! Have you entered this month's challenge yet? It's just getting starting. It's Anything Goes if you use an MHKDesigns image. There's an inspiration board if you use another image. Come join in! Don't forget about the MHKDesigners & Friends Facebook group for more inspiration, news, and fun. Happy Thursday, everyone! Today is a big, big day for me. I had a PET scan yesterday and today I find out the results. I've been doing a lot of wishing and even more praying. Please, Lord, let that cancer still be in remission! I'm also making birthday wishes today for Imagine That! 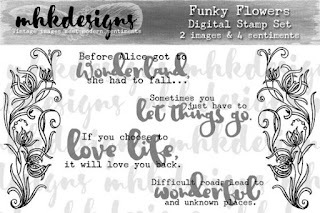 Digistamp for some Thursday inspiration. I have 2 good friends celebrating birthdays this week, and one of them got this card for their special day. Isn't that a yummy looking birthday cake? Makes you want to celebrate, doesn't it? I used a pre-colored image from the Make a Wish KD kit and cut it out on my Cricut Explore. There is incredible value in this kit -- lots of images, bingo cards, sentiments, and papers! Check out all the goodness! The Kraft tag and large scalloped edge card were cut out on my Silhouette. 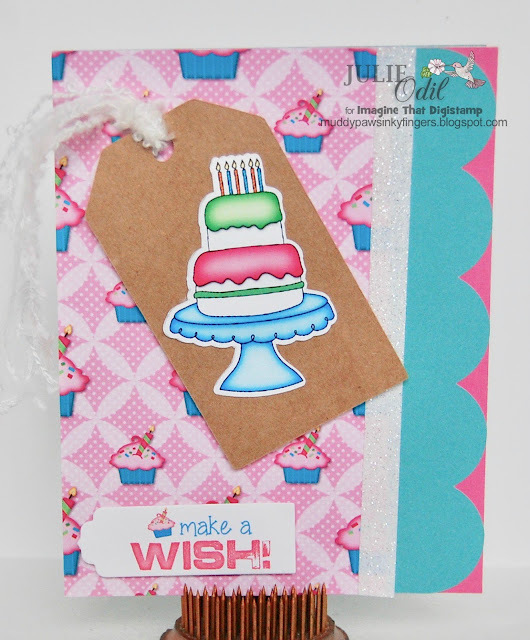 Papers from this card were found in the Make a Wish KD Kit. The sentiment is also part of the kit. The white shimmer trim and fibers are from Close To My Heart. Have you joined in on the monthly challenge at the Imagine That! Creative Playground? 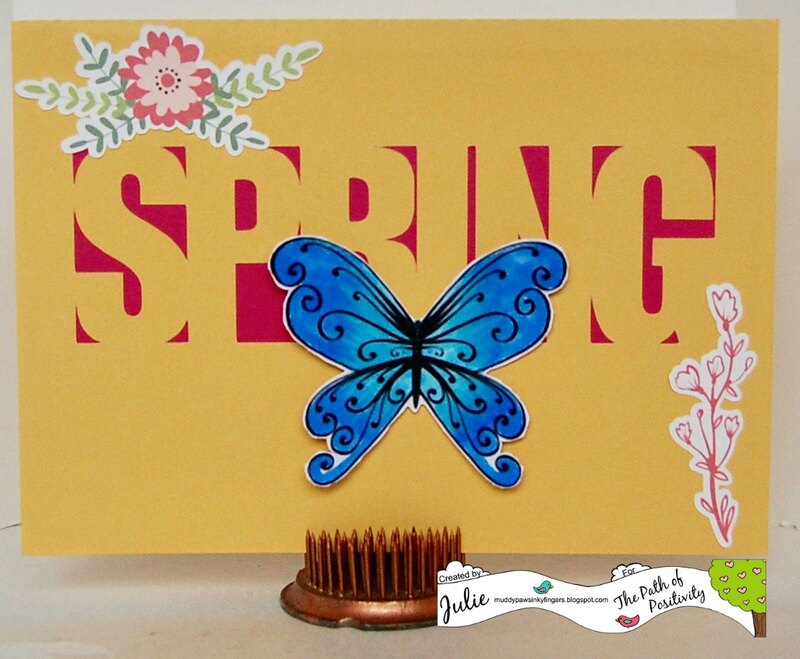 There's a great set this month, perfect for spring projects that can be yours. Just use an Imagine That! Digistamp image. The challenge goes all month, so come link up! Check out the fun and informative Imagine That! 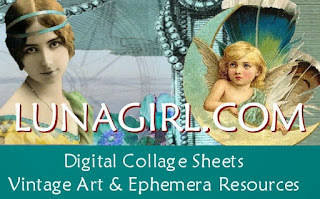 Digistamp Facebook Group, too. It's April 5, and the MHKDesigns team is showcasing one of the month's new releases today. Check out the MHKDesigns blog, and each of the designers blogs for a chance to win this set (or maybe the entire new release!) Today's featured release is "And Many More". It has a very vintage feel to it -- adorable! You'll find this set, all the new releases, and many, many more great sets in the MHKDesigns Etsy Store. This card uses the image from And Many More and a sentiment from the set. 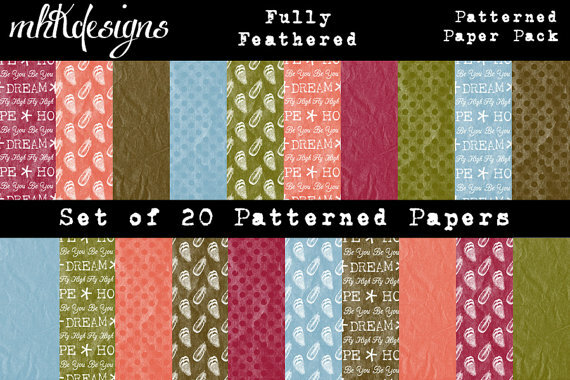 The papers are also from MHKDesigns. 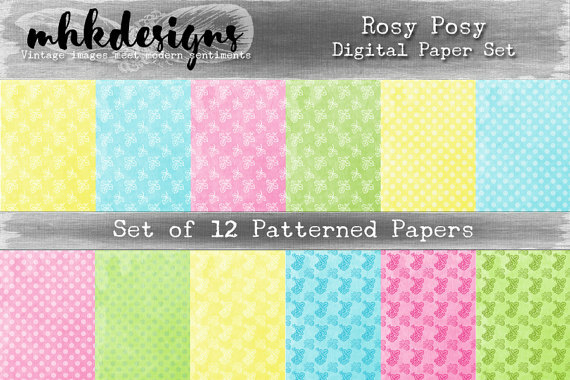 This is the Easter Flowers digital papers set. There will be more new releases throughout the month. Come back on April 10, April 15, April 20, and April 25 to see the entire new release and what the incredible designers from this team have created with them. You won't be disappointed. All the fun starts on the MHKDesigns blog! It's the first Monday of April, which means it's time for a new challenge on the Path of Positivity Challenge Blog. The optional theme this month is The Beauty of Nature, or you can link up any positive themed project. I love to color roses, and this one from this month's guest sponsor, Sparkle N Sprinkle, was a joy to color. I used Copic markers on it, then fussy cut it out. The shaped card was a design I found in the Silhouette Design Store. The papers and sentiment -- all digital - are from Paper Whimsies. The challenge at Path of Positivity Challenge blog goes a month. You have until April 30 to join in on The Beauty of Nature. April 1! Time for a new challenge at the 12 Months of Christmas Link Up. This month's optional theme is "The Ghost of Christmas Past" -- we want to see vintage projects! Our guest sponsor this month is Luna Girl. Karen makes it very easy to bring a vintage feel to projects. Check out her wonderful store! I created this card using a collage sheet from the Luna Girl store called Vintage Christmas. I used one image from the sheet and fussy cut it out. 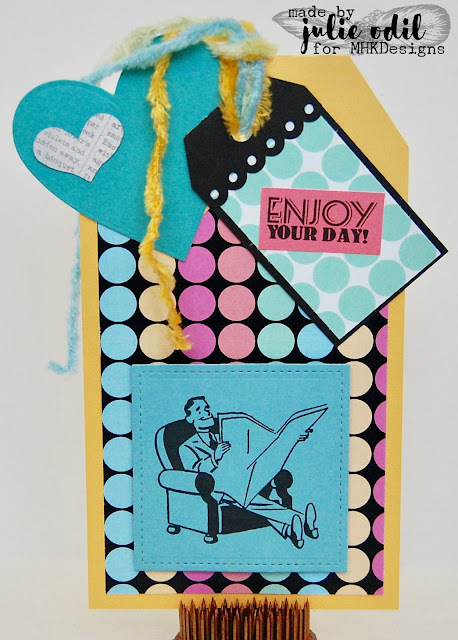 The papers for this card, made especially for this challenge, are from Decosse's Dynamite Doodles. 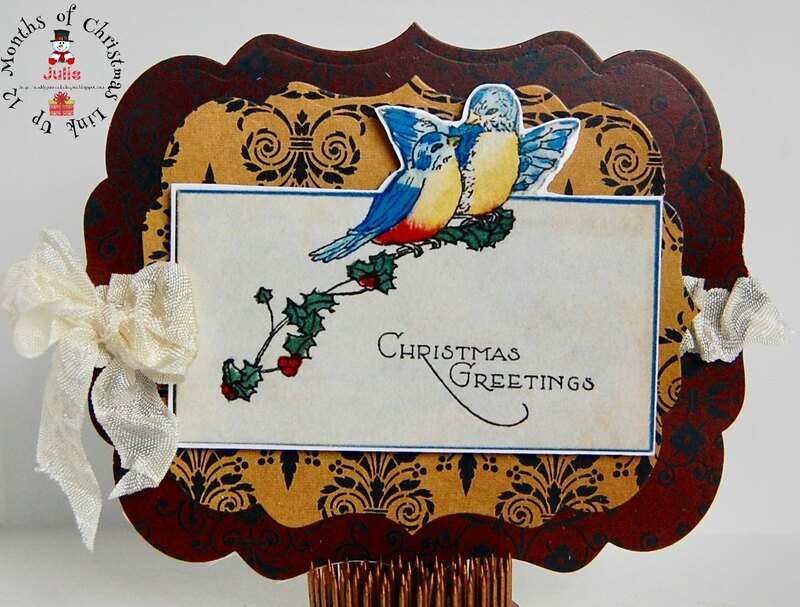 You can win one of the wonderful vintage papers by linking up 2 Christmas card this month at the 12 Months of Christmas Link Up. The 12 Months of Christmas Link Up runs from today through April 30, so join in the fun and the prizes. I'd love to see what you make! Hello, and happy April! April 1, April Fool's Day, a day of having tricks pulled on you, so be careful! It's also the first day of a new challenge at MHKDesigns. You have all month to join in the fun. I hope you do! 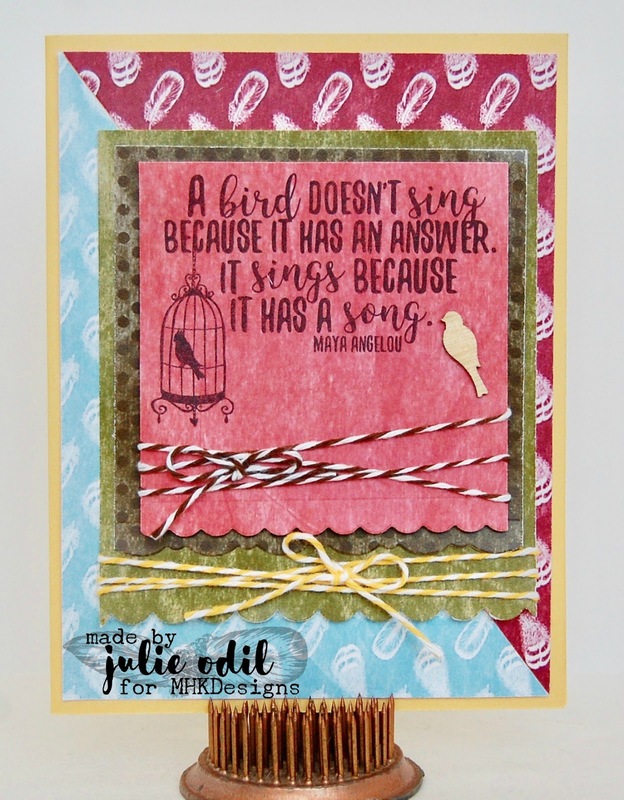 Every challenge is Anything Goes, if you use an MHKDesigns image or paper. There is an inspiration board if you don't. 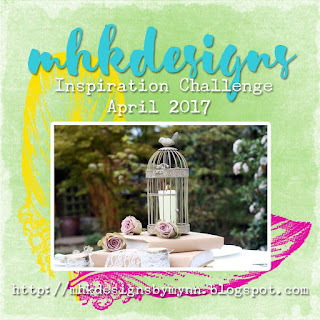 I hope you join us this month for the April MHKDesigns Challenge. We have great prizes to win! Check the MHKDesigns blog often for fantastic inspiration. There will be wonderful new releases this month that you WON'T want to miss! Don't forget about the MHKDesigners & Friends Facebook group for more fun, news, and inspiration.